We are offering Rideshare flight opportunities with OHB payloads on Indian Launchers scheduled for 2019, 2020 and 2021. Different secondary satellite configurations are supported - the containerized CUBESATs and the typical small satellites with the mass of up to 100kg each or even secondary payloads with the mass >100kg. The final configuration will be selected L-12 months depending on the contracted secondary payloads. The Rideshare final orbit will be selected in the range 500...600 km in order to fulfill the 25 year de-orbiting requirement for the small satellites and CUBESATs without their own propulsion system. The planed orbit inclination for the 2019 launch is in the range ~50°, for the missions in 2020 and 2021 the inclination will be 98° (SSO). CUBESATs are welcome with their own deployers or by using of our CUBESAT-STACK type deployers which are under development for 1U, 3U, 6U, 12U, 27U configurations. Different type of launchers are used for OHB satellites for delivery into orbit – the European VEGA and ARIANE, the Falcon in the USA, the Indian PSLV, the Russian SOYUZ, as well as the Long March Family in China. We are offering launch services to any orbits using all available launchers to any customers. Within the OHB group one of the focal points is new Small Launch Vehicle technology development and launch services for the New Space market needs. Actually payloads of up to ~500 kg could be delivered into a 500 km LEO with a dedicated launch from China and from 2019 also from India. Other opportunities including the launches from European spaceports are under investigation. Ask! Please send your request for detailed schedule, technical and pricing information! The Dual Launch Adapter (DLA) offers on the PSLV the Rideshare launch for medium size satellites with the size of approximately 1700 mm diameter and approx. 1200 mm height envelope. CUBESAT deployers will be accommodated on the PSLV upper stage auxiliary payload deck. The Constellation launch adapter can be optimized for small satellite constellation launches by using a four point spacecraft holding system with the deployment in the radial direction. Inside the adapter the containerized CUBESATs can be accommodated and deployed after the small satellite separation.. The Multiple Satellite Adapter (MSA) allows the accommodation of multiple - different type small satellites and CUBESAT deployers below the main satellite adapter on the elongated PSLV upper stage propellant tank structure. 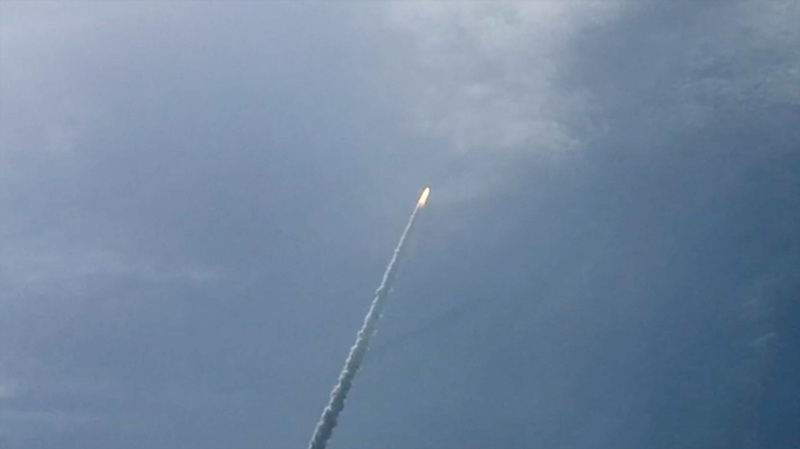 The small satellites could use their own separation systems on the bottom or the Indian type systems provided within the launch service contract.